Right on the heels of Daredevil #1, the San Diego Comic Con (aka Comic Con International) got under way. 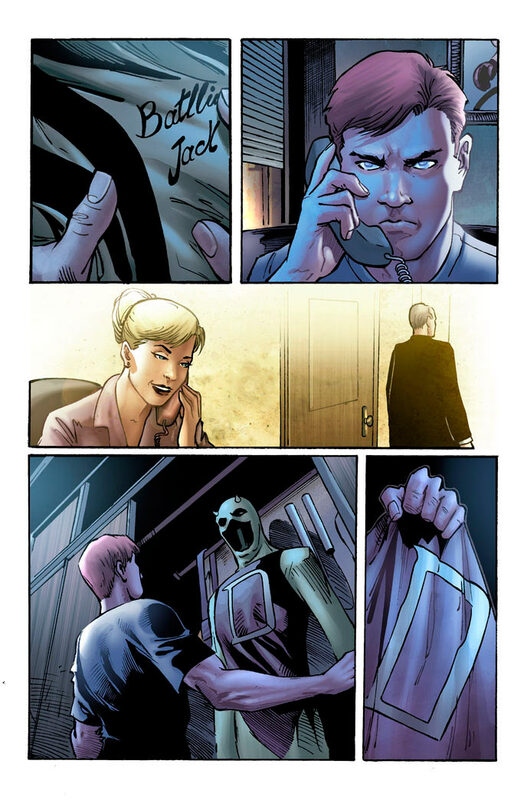 While there hasn’t been that much talk about Daredevil specifically, there are at least some snippets of news to report along with preview art for Daredevil #2 and the Marvel: Season One original graphic novel, written by Antony Johnston with art by Wellinton Alves, that’s due out in April of next year. Yes, it looks like at least one of the dangling plot threads from last year’s Shadowland event will be dealt with, though I’m happy to say it won’t be happening in the Daredevil title. Rather, it appears that they will be Black Panther’s to deal with (I guess T’Challa didn’t just inherit a neighborhood from the Man Without Fear). Below are a couple of pieces of preview art for your perusal. 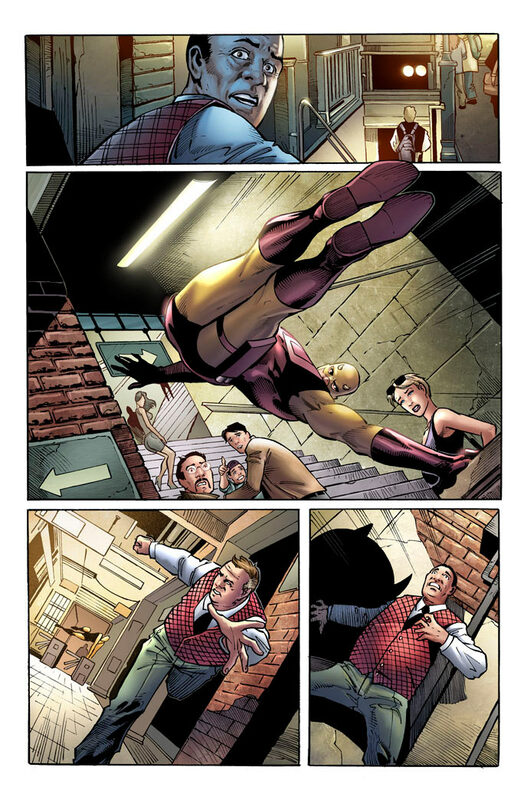 Mark Waid participated in the panel Spider-Man & His Avenging Friends (see, for instance, CBR and Marvel.com) where he talked about Daredevil and joked that “The response to issue #1 has been so good that I’m just done. 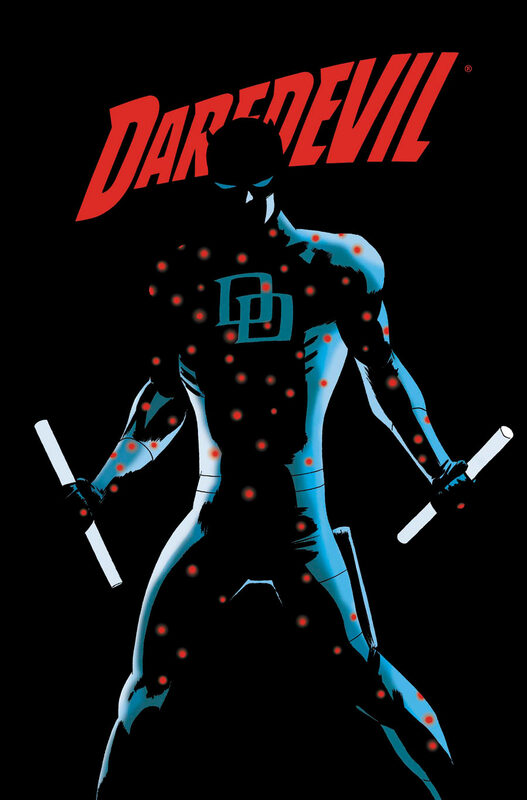 There will be no #2.” During the panel, there were hints that Daredevil and the Punisher will have some kind of cross-over in Daredevil #9 and Waid confirmed that the Black Widow will make an appearance in Daredevil at some point as well. Stephen Wacker also revealed that well-known Daredevil artist (among other things) Lee Weeks is currently working on a Daredevil project. This humble blogger suspects that this might be connected to the later announcement that Marvel will be publishing another batch of “.1” issues in November and that it looks like Daredevil will be getting one too (read more about these issues at CBR). The above mentioned panel also came with a couple of teasers in terms of new preview art. 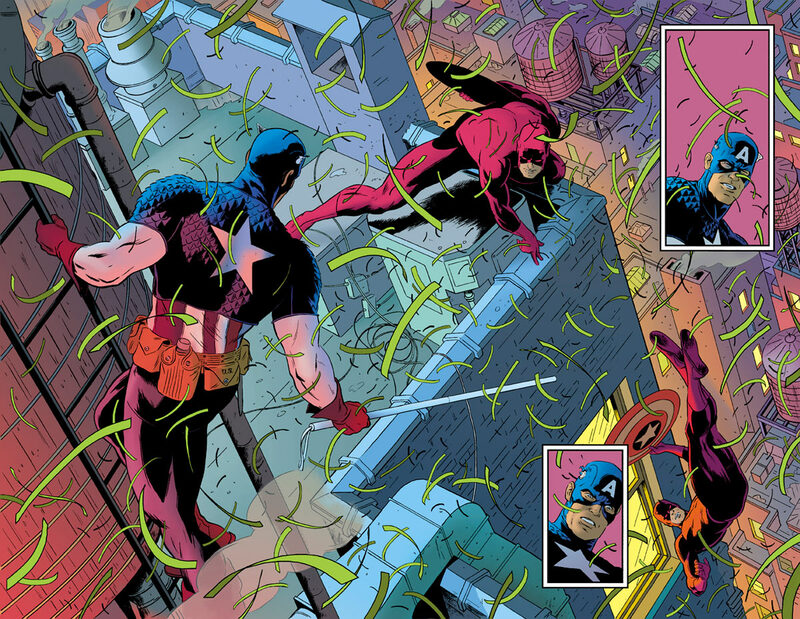 First, there was the colored version of the big Cap and Daredevil splash page we’ve seen previously followed by what looks like an upcoming cover. 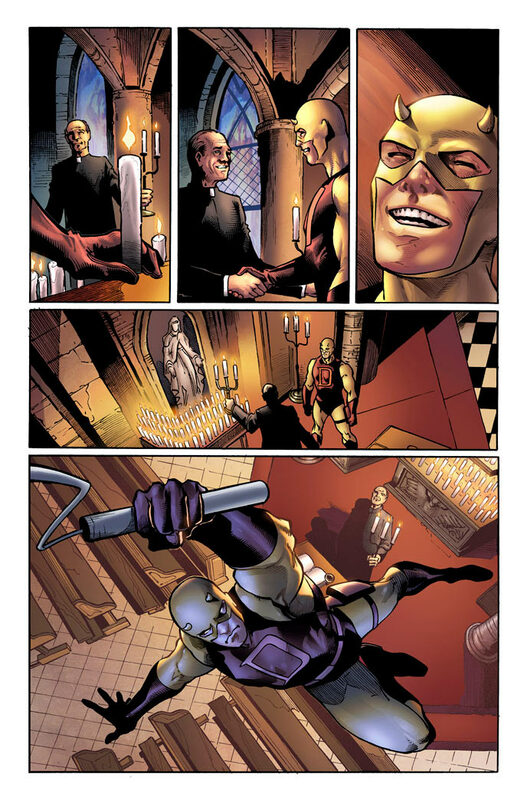 Later, another page from the Daredevil #2 was shared by Stephen Wacker on Twitter – and I’m sure, other places as well. If you’re a regular reader I shouldn’t have to tell you, but for everyone else, all images on this site will pop to full scale when clicked (click the image again to close). 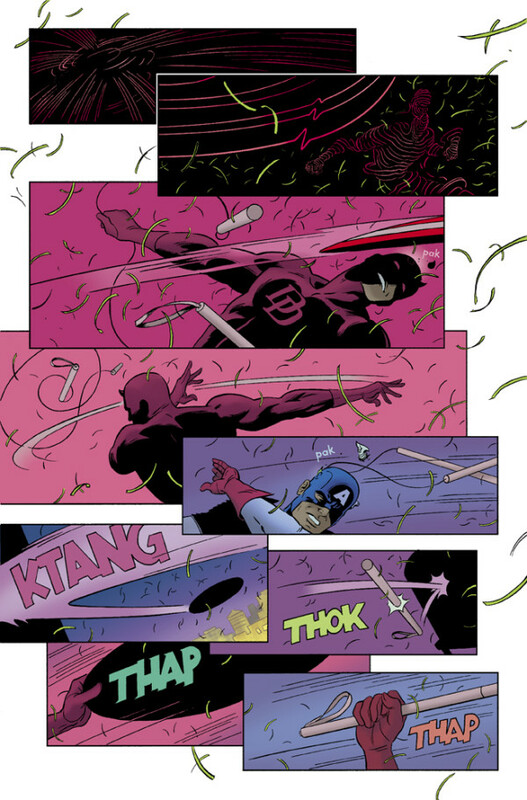 Over the weekend, during the Cup O’ Joe panel, we also got to see our first glimpse of Daredevil: Season One in the form of four pages. It appears that Antony Johnston won’t be spending a lot of time going over the details of the origin (good decision! ), but I have to wonder: What is up with the eye holes in the mask? I’m sure there’s a logical reason for them, but I have to admit to scratching my head a little on that one. Other than that, it looks good! That’s all for now! 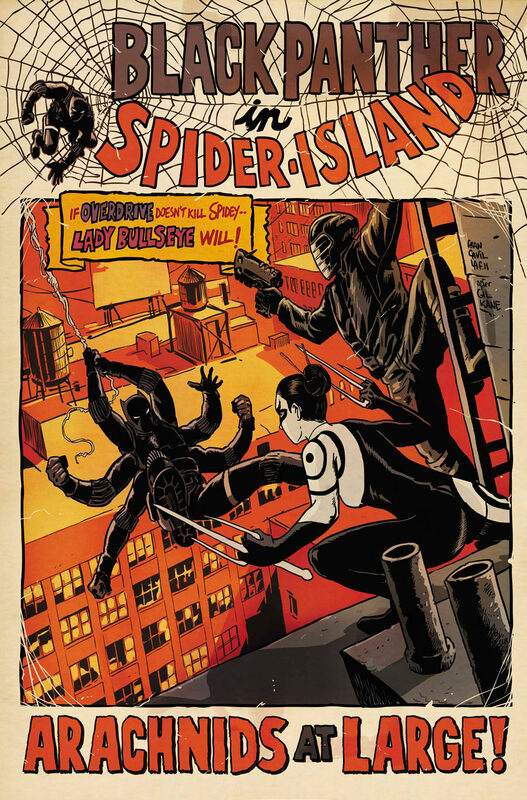 If you want to hear me drone on about Daredevil #1, I suggest you check out this week’s MOMBcast – “the best comics podcast recorded on a Thursday night in Southampton” – where I was a guest to talk about Daredevil with Jane (who’d read her very first issue of Daredevil and liked it!) and James. We talked about a lot of other things as well, but if you want to skip directly to the Daredevil discussion, it starts about 56 minutes into the show. The three-way international Skype connection crapped out on us a couple of times and the sound quality isn’t the best, but I think it should be okay. 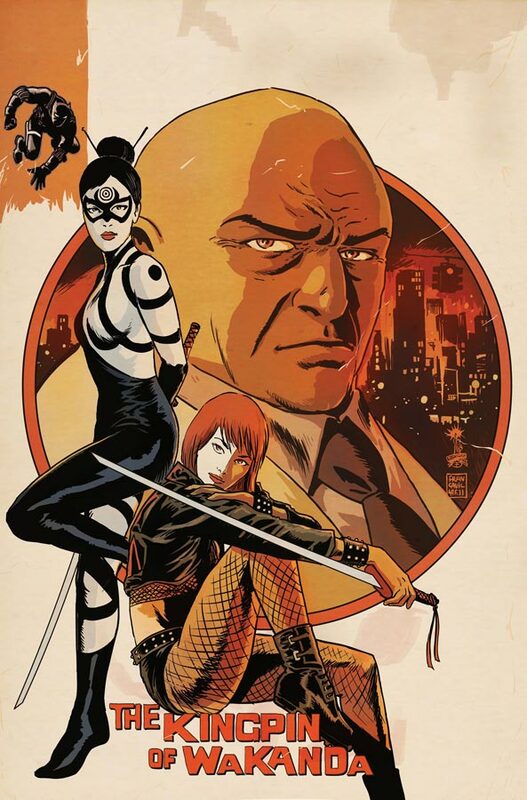 I love the preview art for #2 (especially the cover), and the Season One preview art as well. I didn’t actually notice the eye holes until you mentioned it though. Not very observant of me. Anyway, I really love Antony Johnston’s writing so it’s going to be nice having him back on a DD project. Totally agree and am really glad the “Season One” will just give a quick recap of DD’s origin and move into a new/different story. 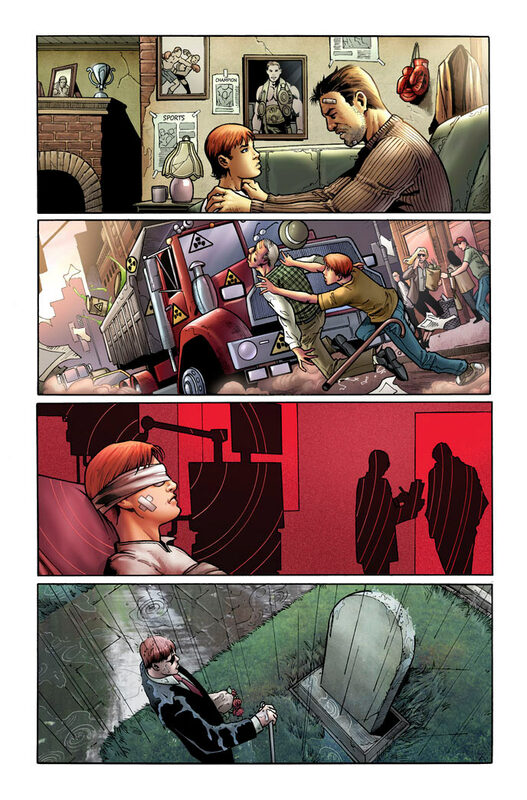 Between “The Man Without Fear”, “Yellow”, “Father”, “Battlin Jack Murdock” and the constant references/reminders in the ongoing book(s), we really don’t need a new re-telling of DD’s origin anytime soon. Very cool news. I love the retro style and BP covers and the DD splash page for next month makes my heart race.